Peripheral Artery Disease or PAD is defined by the presence of a stenosis or occlusion in the aorta or branch vessels which supply the lower extremities. PAD is most commonly caused by atherosclerosis. 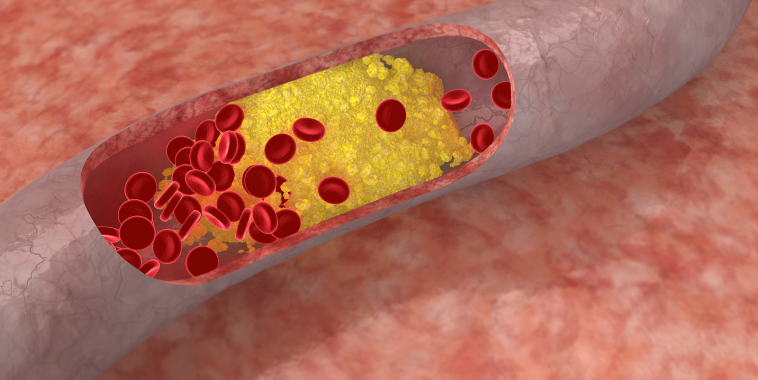 The three cardinal manifestations of atherosclerosis are coronary artery disease, cerebrovascular disease and PAD. Once a patient is diagnosed with PAD, they are at higher risk of suffering future MI, stroke or death. PAD affects 8-12 million Americans, second only to coronary artery disease. The prevalence of PAD increases with age. The National Health and Nutrition Examination Survey, or NHANES, found the prevalence of PAD among patients age 40 years or older in the United States was 4.3%; for patients age 70 or older, the prevalence of PAD was 14.5%. The PAD Awareness, Risk, and Treatment: New Resources for Survival Program, or PARTNERS program, included patients either more than 70 years old or between 50 to 69 years old and with diabetes or a history of smoking. When common risk factors were included in the population, the prevalence of PAD was approximately 29%, or 1/3 of all patients. Smoking, diabetes, HTN and elevated cholesterol are the strongest risk factors for developing PAD. According to one series of 6880 pts from 344 primary practices in Germany from 2004, the prevalence of PAD in females was greater than men in those >85 yrs of age (6). However, according to pooled data from 6 registries (over 24,000 pts), PAD prevalence was slightly higher in men within all age groups. Unfortunately, published series are often marred by selection bias and many feel that the true burden of PAD (defined by ABI < 0.9 obtained from U.S. Census 2010 data) may be the most reliable indicator of disease prevalence in the U.S. In a study adopted by Hirsch et al., the burden of PAD was higher in women over the age of 70 as compared to men. Unfortunately, the diagnosis of PAD represents the tip of the iceberg. PAD is a marker of systemic atherosclerosis, a major predictor of future MI, CVA and death. Unfortunately, few studies have reviewed potential gender-specific mortality differences in PAD. In one study adapted from data collected by the ABI Collaboration study (480, 325 person years: 24, 955 men and 23,339 women), overall rates of CVD and mortality were similar in men and women, however both major CV events and mortality were significantly increased in women as compared to men with more advanced disease (ABI < 0.7 or > 1.4). Due to the limited data and awareness of PAD in women, the American Heart Association, in collaboration with the Vascular Disease Foundation (and its “Peripheral Arterial Disease Coalition”), commissioned the AHA/PAD coalition to urge healthcare professionals to promptly establish PAD in women ‘at risk’ and to incorporate PAD-specific risk messages within current women’s health clinics in an effort to raise community awareness. Gender and age-specific prevalence of PAD has not been clearly defined from published population based studies. Although the age-dependent prevalence of PAD in adult women may be lower than men, the total population burden of PAD appears to be higher in women, particularly in those over age of 70. All pts with PAD are more likely to die from CHD events than those without PAD. There is a Trend towards higher CV mortality, all-cause mortality and major CV event rates in women with abnormal ABI (< 0.7, > 1.4). 1. Selvin E, Erlinger TP. NHANES. Circulation. 2004;110:738-743. 2. Criqui MH, et al. Circulation. 1985;71:510-515. 3. Diehm C, et al. Atherosclerosis. 2004;172:95–105. 4. Meijer WT, et al. Arterioscler Thromb Vasc Biol. 1998;18:185-192. 5. Hirsch AT, et al. JAMA. 2001;286:1317-1324. PAD classically presents as claudication, or the presense of pain, aching, fatigue or discomfort that occurs with exertion. However, studies have shown that most patients with PAD are asymptomatic (50%), or present with atypical symptoms (33%). In fact, asymptomatic PAD is very common in women. According to the Women’s Health and Aging Study (WHAS), 63% of those over the age of 65 with ABI < 0.9 had noexertional leg symptoms. In the Walking and Leg Circulation Study (WALCS), a cohort of 460 PAD participants in the Chicago area, women were more than 2X’s more likely to report the presence of atypical exertional leg symptoms that sometimes began at rest. Therefore, the vast majority of patients with PAD may be missed based on history and physical alone, highlighting the importance of further screening for PAD (i.e. use of ABI’s) in high risk populations- and in particular women. In fact, the updated ACC/AHA guidelines in 2011 suggest obtaining ABI’s in at risk populations defined by those who are 70 years and older, or who are 50 years and older with a history of smoking or diabetes (Level of Evidence 1B). Currently, there are no known gender-based differences in the diagnostic sensitvity or accuracy of the physiologic or classic image-based diagnostic PAD tests. Arterial diameters in women are smaller than age matched diameters in men, and it is unclear if these anatomic differences may have some effect on gender-specific treatment outcomes. The goals of PAD treatment are two-fold: to improve the affected limb (in presence of debilitating symptoms of critical limb ischemia) and to decrease cardiovascular morbidity and mortality associated with PAD. Limb-related improvement can be assessed by improvement in walking ability and prevention of progression to CLI and amputation. Decreases in cardiovascular morbidity and mortality include decreased mortality from MI, stroke, and cardiovascular death, as well as decreased risk of nonfatal MI and stroke. In one study by Feinglass et al, men were more than twice as likely to be selected for revascularization despite similar baseline comorbidites and prevalence of limb salvage indications.